We ensure that all personal information you provide or gift recipients being voluntarily submitted to us in the processing of your order (to be used for record and billing purposes, etcetera) inclusive, but not limited to, credit card and other personal information, will be strictly confidential and used solely for Enlightened Beings International, its authorized representatives and employees; for the strict purpose for which it was intended, and for the benefit of the user. We agree not to share, rent, sell, or release this information to any individual, entity or third party, for any reason, without the specific written consent of the user; with the exception as required by law, regulation, and/or governmental authority. We may, however, from time to time send offers to you or gift-recipients about new items or services that we have to offer. Your IP address will be logged with each transaction and the IP address may be used to help diagnose problems with our server and to administer The Enlightened Beings or Super Manifestor websites. Your IP address also may be used to gather broad demographic information and to follow client traffic patterns and site usage. 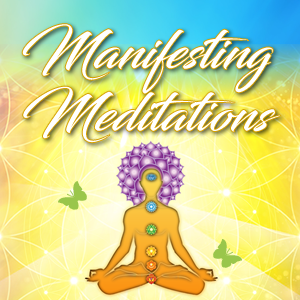 Any cookies that are set or created will pertain to your site and are only used to maintain your session while you are browsing the The Manifesting Vibration E-Store website. Cookies are alphanumeric identifiers. When you visit our site, we transfer those identifiers to the hard drive of your computer through your web browser. This allows us to recognize you as in individual when you visit our site and set you special preferences ahead of time. To enjoy the benefits of individualized visits to our site, your browser must be enabled to accept cookies. The site makes use of secure server (SSL) to encrypt all of your personal information. We have set strong security standards to prevent the loss, misuse or theft of your information once it is in our hands.